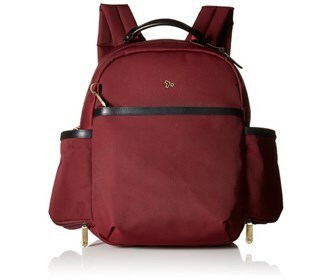 The Travelon Anti-Theft LTD Backpack is the perfect combination of function and fashion. The roomy main compartment features a padded and fleece-lined sleeve to hold an iPad or tablet. Stay organized and protected with RFID blocking card slots, an open top wall pocket and zippered wall pockets. Our innovative slash-proof bags contain reinforced panels made from flexible high-tech chainlink stainless steel mesh to counter any attempt at Bag Slashing. Treat yourself (or someone you love) to a stylish Travelon anti-theft bag with its own pickpocket-proof locking compartments and you will never need to worry about this common crime. Travelon's anti-theft bags are designed with armored slash-proof straps to safeguard your personal items, so you can focus on your sightseeing or business priorities. Travelon's RFID blocking wallets, organizers and waist packs provide peace of mind and complete protection by preventing thieves from remotely "reading" your personal data. The Travelon Anti-Theft LTD Backpack-Wine has many exciting features for users of all types. You can extend the lifetime of your Travelon Anti-Theft LTD Backpack-Wine with the purchase of a FactoryOutletStore Factory Protection Plan. 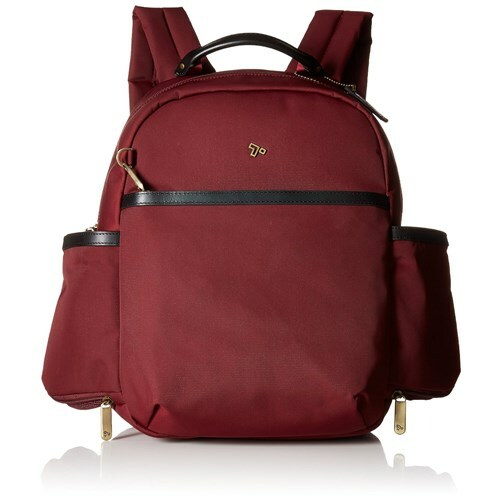 See the Travelon Anti-Theft LTD Backpack-Wine product video and gallery images above for more details. The Travelon Anti-Theft LTD Backpack-Wine is sold as a Brand New Unopened Item.